“The bestselling title on Amazon in the US right now is not Harper Lee’s hugely anticipated second novel, Go Set a Watchman, or George RR Martin’s Song of Ice and Fire fantasy series, or even Zoella’s much-mocked but much-bought young adult hit, Girl Online. 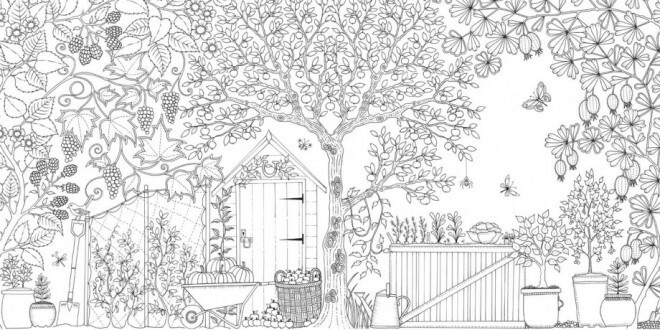 Instead, Scottish illustrator Johanna Basford is topping the charts, with her colouring books for adults taking top spots on Amazon.com’s bestseller lists. 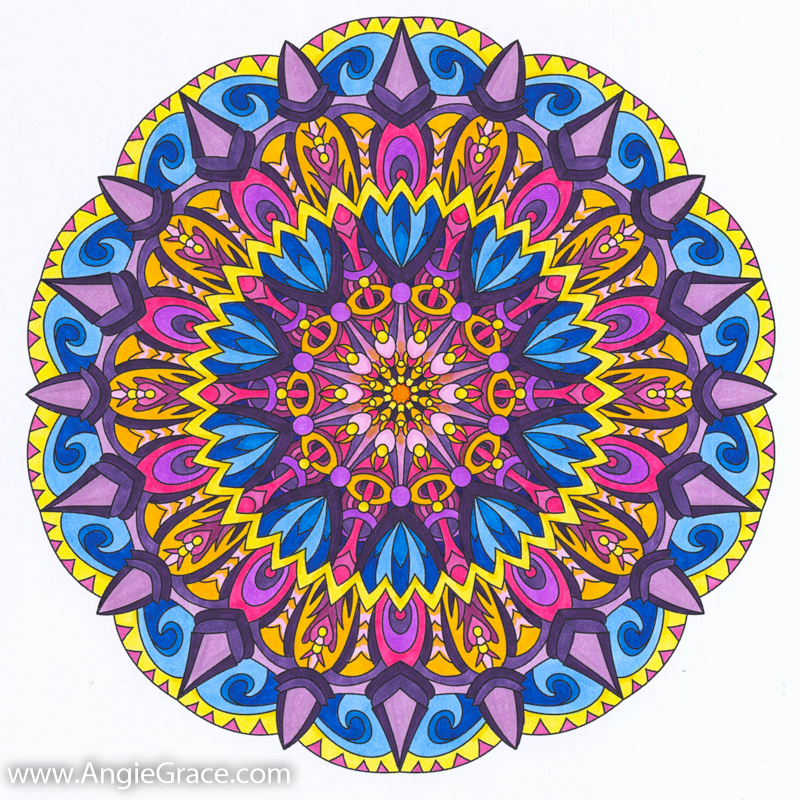 Coloring provides a fun, safe and creative outlet to those who may not have the skill or time to draw images and then color them in themselves. Coloring has also proven itself to be a good stress reliever and relaxation or meditation tool – one that is easily used by anyone with markers, crayons or colored pencils. And it’s fun! 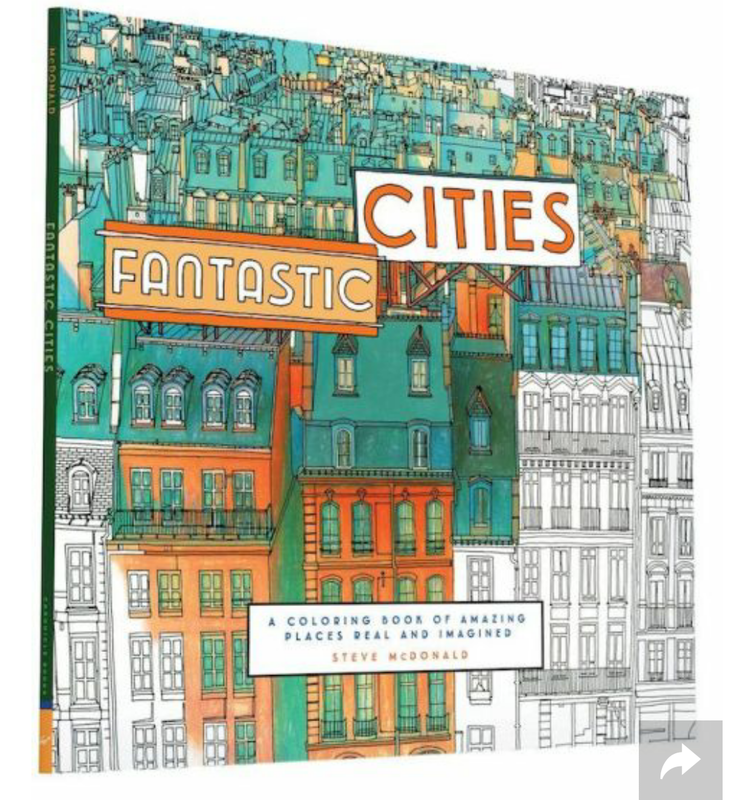 I haven’t tried a particular coloring book yet myself, but have been researching the most popular, so I was excited to come across this link this morning. 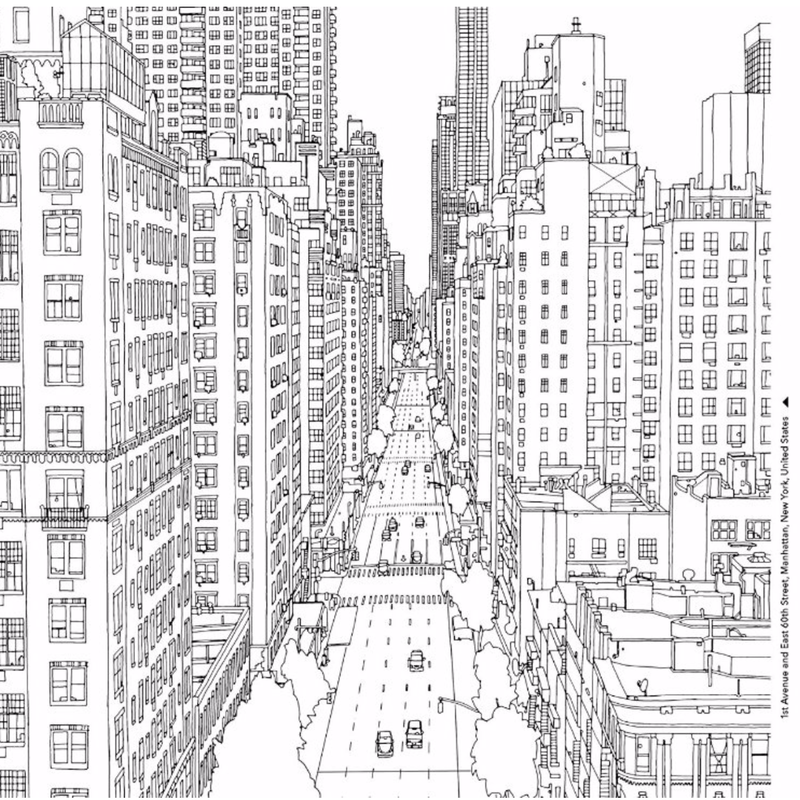 It’s about this new coloring book full of architecture and cityscape scenes. 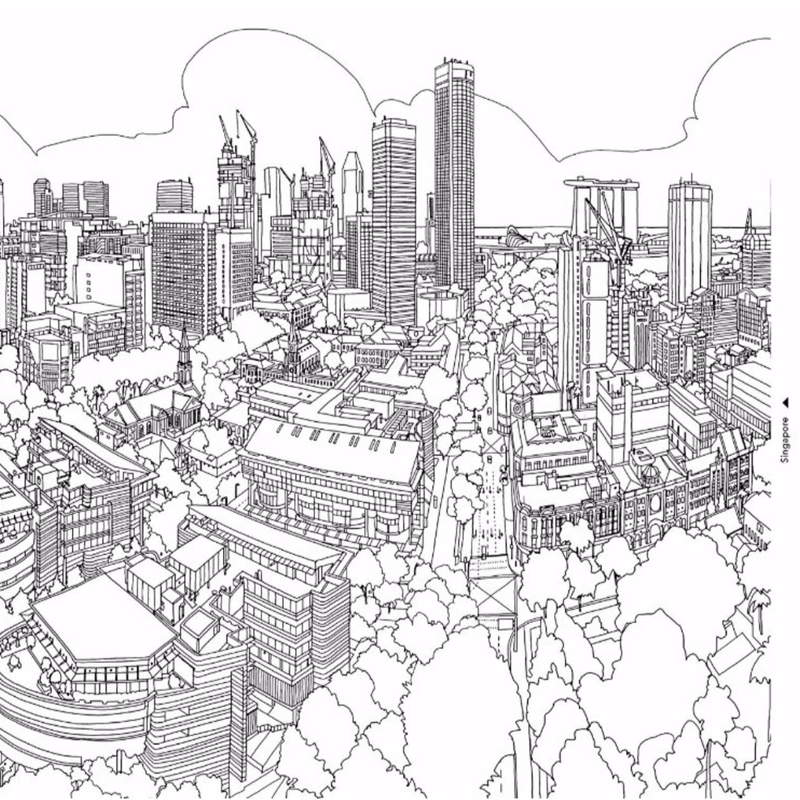 Which, since am a huge architecture and urban design fan, SOLD! I mean, how awesome does this look!? This beauty by Steve McDonald is available for pre-order on Amazon, and has a release date of August 11th. 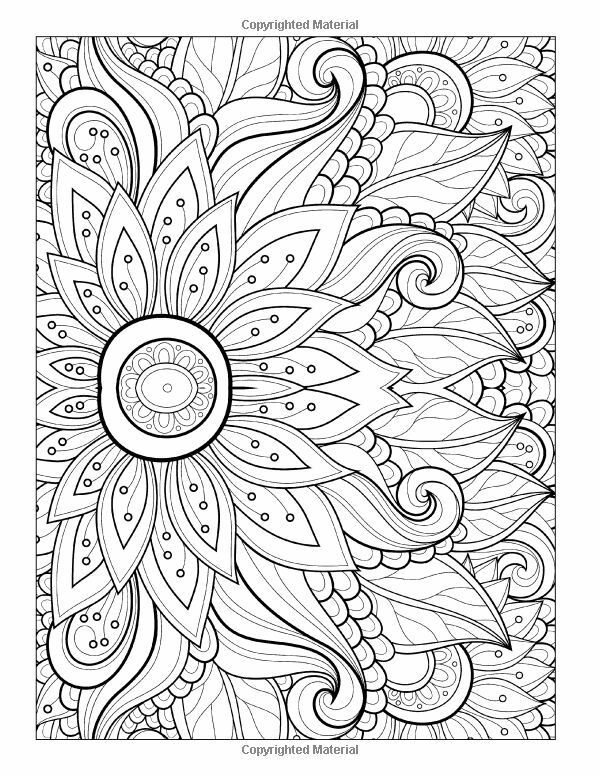 Here are some of the other popular coloring book choices. As I was researching these coloring books, I learned from reading the reviews on Amazon that marker bleedthrough is a big concern in some books. Some are printed on only one side of the page, which minimizes the concern of markers bleeding through – and can easily be combated by inserting a blank piece of paper underneath the one being colored. But in other cases – particularly the most-popular Secret Garden – the pages are printed double-sided, and if you are not careful with what medium you’re coloring with, the markers will bleed through to the other side. Lesson learned: always read the reviews first! ← Art Journaling or Daily Planning? Wow! 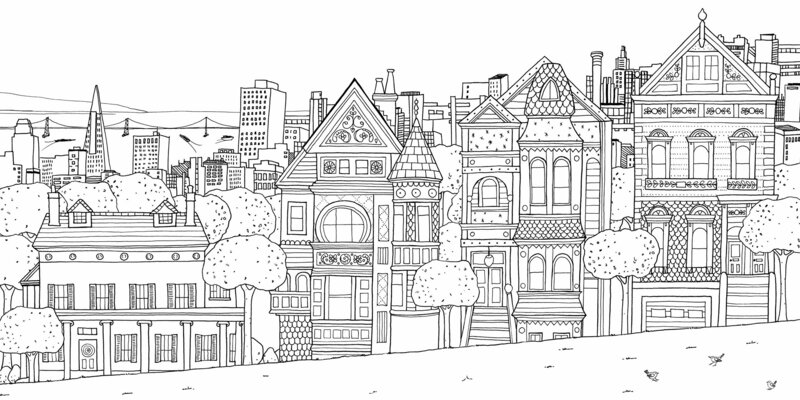 That city one is pretty awesome! 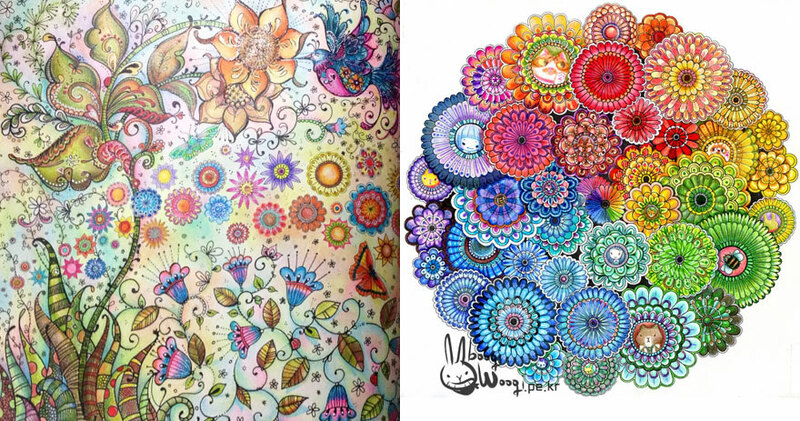 I do not colour in the books but have them copied onto 200gsm paper. The colours do not bleed. Great solution and easier to colour than fiddling with the book itself.